Reinventing art styles has always been a way to break into the scene. Whether you’re Van Gogh developing impressionist art styles or Itchiku Kubota bringing textile techniques back from the past, your advancements in the genre are sure to ring a bell for generations to come. Japan’s pioneer artist was one who went from persevering in resurrecting a traditional art form to receiving worldwide critical acclaim for his reinvention. As one of Japan’s unique textile artists, his extravagant collection came from humble beginnings. His familiarity with developing textile techniques brought his attention to the long-forgotten art of tsujigahana kimonos which were gorgeous dresses made from an old dyeing and pattern technique that had lost its methods through the ages. After dedicating his life to research and experimentation, he was able to replicate the designs and patterns and even made an innovation to the craft by improving on the traditional by using modern tones and dyes. His development of the method was perfected by 1962 when he would have his chance to share his works with the world through a collection of kimonos. In 1977, the Kubota exhibition first opened in Tokyo where his kimono paintings received acclaim nationwide and even garnered a worldwide attraction due to its unique process by reinventing the traditional and mixing the style with the contemporary. His works were aptly named after him, as Itchiku Tsujigahana, for his stellar achievement of bringing new life to an old art form. Similar to another famous artist, Katsushika Hokusai, the subjects of Kubota’s paintings greatly resemble the beauty of nature. Hokusai’s most memorable piece, the thirty-six views of Mount Fuji, was made through the use of vibrant primary colours with complements and accents of white and black making for a simplistic yet beautifully arranged piece. Kubota brought a wide array of colour into his works by having a radical palette at the time for kimono patterns. He matched his paintings with different colour palettes in his rendition of the iconic horizons of Japan by depicting them in different seasons. His fascination with the skyline went on to be represented by his “Symphony of Light” which is a mesmerising depiction of the heavenly bodies emblazoned on towering panels of kimonos. Kubota’s success would not go without any challenges. Though he was able to build his namesake museum that housed his collection, he was unable to stop its potential bankruptcy in 2010. After his passing in 2003, Kubota wanted his museum to be an avenue for everyone to be able to see and appreciate his art pieces even after his passing. Unfortunately, economic turmoil hit the museum which landed it inches away from being sold. 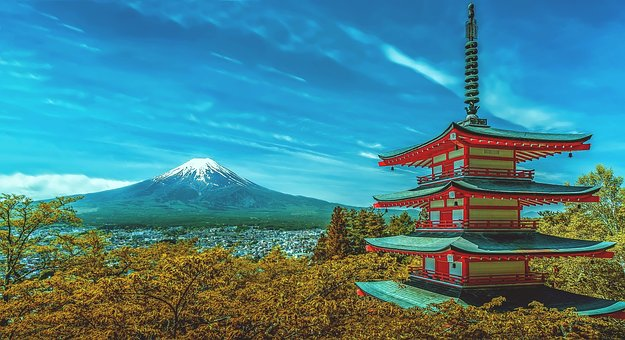 Through the efforts of a Russian philanthropist, Dr Patokh Chodiev, the museum was saved and the kimono collection also, which continues to be showcased as a collection through various museums around the world. There are few physical changes which women undergo throughout their life. With some significant like pregnancy, weight loss and aging, it can affect the way the breasts look and might leas to a loss of volume over time. Whether they might want to restore the figure again and want to achieve a larger size, there is always an option to go for breast augmentation. It is a procedure that helps in enlarging the size of the breasts with the use of silicone and saline breast implants. Why to go for breast augmentation? There are various reasons why one should go for breast augmentation. Primarily this is done to achieve larger and full-size breasts. This is also done to balance the unevenness of the breasts and restore the breast fullness after the pregnancy or breastfeeding. The best way to go for is the NYC Breast Augmentation. New York City has the greatest sector for the breast augmentation and provides quality results. Is such kind of manual change recommended? Several doctors believe that breast augmentation surgery for women desiring fuller, larger a more even breasts is totally recommended. There are also few women who want to wait till they are done with having children so that they can avoid the post pregnancy changes to their breasts after surgery. Science has changed the life in so many ways. It has improved considerably over past several years. Women get to choose from different surgery options according to their uniqueness. How to know if someone is qualified for the breast augmentation? The NYC breast augmentation has a lot to choose from. It can be an excellent option for women seeking to improved the overall size and appearance of their breasts. Some want larger breast size, some desire to fit into their favourite swimsuit or fit to their clothing a bit better. Some also might have experienced breast volume loss due to pregnancy, breastfeeding, weight reduction or the process of aging. It is very important to stay in a good physical and mental health before going for this procedure. It is recommended for women who are not undergoing any breastfeeding currently and have sensible expectations of the outcome of the breast augmentation surgery and seek aesthetic improvement and not necessarily perfection. The above are the qualifiers to go for a breast augmentation and they become the most ideal breast augmentation candidates. Women who recently had children should wait for a minimum of 1-2 months followed by the process of breastfeeding in order for an accurate breast size to be determined. It is recommended to consult a doctor and get a proper counselling about it before you go for this step. Surgical operations should be carried out with proper precision since this cannot be undone. There are several techniques to choose from along with several options in the breast size. The one which is more suitable should be decided by the woman and later examined by the surgeon. What is J Fest and How is it Bringing Russia and Japan Together? You might be surprised to read about a festival held in Russia celebrating the cultural festivities of Japan similar to a summer festival or natsumatsuri. This unlikely partnership between Japan and Russia came from various appeals and efforts to bring the two nations together through sharing cultural experiences such as art, music, theatre, and technology. Philanthropists come from a wide range of backgrounds, from heirs of wealthy families to adventurous billionaires. Most of their efforts are towards humanitarian works such as providing help in various sectors of the community that need it. Festivals are great ways to bring philanthropists and business sponsors together in working towards a unified goal. One of the J-fest’s recurring sponsors is the International Chodiev Foundation. The International Chodiev Foundation was built by Fattah Chodiev as his avenue to pursue philanthropic efforts ranging from donating to charities, providing scholarships and grants from his alma mater, and much more. One of his greatest feats is saving the Itchiku Kubota Museum’s collection from bankruptcy. One of J-fest’s notable attractions is the presentation of the Kubota collection sponsored by the ICF. These art pieces are a collection of Itchiku Kubota’s famous works which include the series entitled “Symphony of Light”. Highlighting his fascination with the sky and the natural colours of nature, he depicted the changing of the seasons in a spectacular fashion. These paintings are uniquely and artfully presented through an array of tsujigahana kimonos, which is a form of brush painting and embroidery on kimonos which was a traditional art form in the 16th century. Kubota managed to bring the art form back and add his spin to the formula by applying different colour schemes and patterns that make them a mesmerising spectacle for viewers. The Festival of Contemporary Japanese culture, or J-Fest, is the brainchild of various sponsors who aim to bring the culture of Japan to Moscow. The festival is the most anticipated showcasing of the latest technological trends in Japanese culture along with its traditional performances of the arts. J-Fest takes inspiration from the summer festivities of Japan known as Natsumatsuri where it functions as a holiday with events and activities for both adults and children alike to enjoy. This festival made it possible for the exchanging of culture between the two nations and has continued to be a potent indicator of the two’s bond, with the festival going strong since 2009. Besides the J-Fest in Moscow, a similar complementary festival is celebrated in Japan which showcases similar avenues for Japanese people to experience first-hand some different aspects of Russian culture from arts to theatre performances. Through the combined efforts of the two nations, people can enjoy and express their nationalism and pride for their culture being showcased to partner countries. J-Fest is a tangible example of how partnerships between two countries are born not just from business contracts but also through the sharing of the arts. To learn more about the Zoo Too block, check this out. Our world today is constantly in a state of turmoil. It is easy to lose faith in humanity now. We continuously see lost lives due to hunger, political conflict, disasters, mass destruction and war. 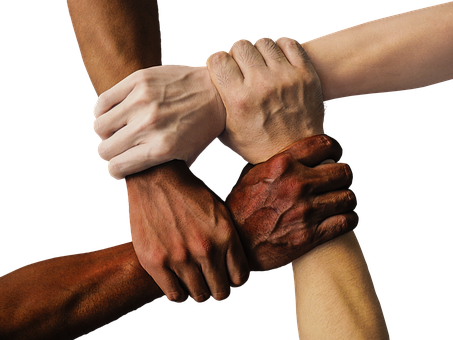 Humans always think that it is still better to bear arms against one another, leading to great devastation and unrest in the world. We begin to question if there is real goodness in people because how do we reconcile ourselves with the fact that we, human beings, are cruel, self-centered and self-serving? Is the world becoming meaningless? We wage wars, and we don’t care about the consequence it may bring. In a world where we experience hardships and constant struggle, we easily forget that there is still kindness left in this world. But, some people do care about the future. Patokh Chodiev has tried to restore our faith in humanity as he spearheaded numerous programs to transform the lives of the youth today. He built the International Chodiev Foundation to spread as much positivity as possible. He knows that constant dialogue is key to understanding each other and loving each other. He greatly believes in the vast potential of education in engineering a better world. Through promoting academic excellence in Eurasia, people can exchange ideas, forge cultural ties, strengthen relations and much more. The foundation strives to expand the horizons and extend the limits of the youth’s ambition. Its educational and research programs aim to encourage the younger generation to imagine, create and innovate to break new ground in different fields. He believes that by nurturing the youth to achieve their full potential, it will foster transnational growth. Through these initiatives, it will pave the way for the world to become more inclusive and more accepting of others. Patokh Chodiev, through his numerous years of experience, skill and knowledge of international relations between Japan and Russia, aims to uplift the youth of both these countries by partnering with top universities in each respective nation. Patokh Chodiev believes that promoting the welfare of the people and the world can be done through his continued commitment to providing quality education to people who deserve it. It not only engenders intellectual empowerment, but it is the critical catalyst for cultural exchange to happen. 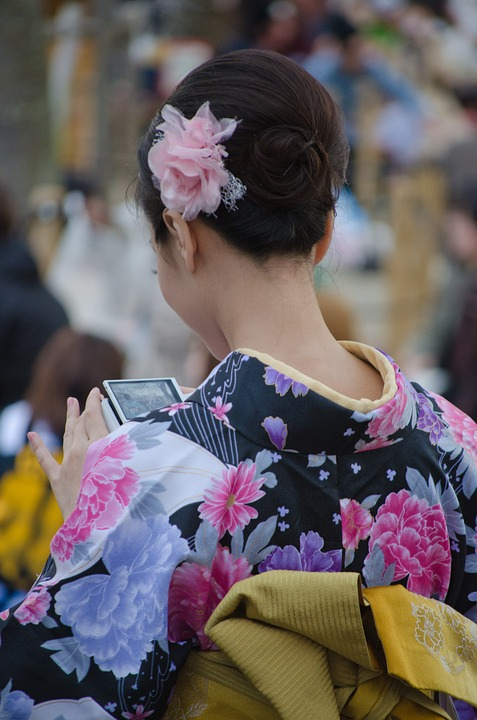 The foundation has been sponsoring many events over the years that have promoted Japanese culture in Russia and vice versa. He is unwavering in his belief that improving cultural dialogue is crucial to experience growth, progress and development. These endeavours resulted in deeper appreciation and understanding between these two countries. Dr Chodiev, therefore, has played a crucial role in helping these nations develop stronger ties than ever before. Through these initiatives, Chodiev is doing his part to change the world for the better. Chodiev has shown the way to effectively foster peacebuilding projects. His love for humanity shows through his compassion and commitment to transform lives and give a brighter future to the next generation. If you’re a parent, you know the importance of seeking advice from other parents. Generally speaking, many non-parents don’t have a realistic view of what it’s like to raise a child. Many hold simplistic views of what it takes to correct a child’s behavior. It’s not their fault. They just haven’t experienced the futility of everyday things like trying to keep socks and shoes on scurrying little feet. From a non-parent’s perspective, a three-year-old tossing a sock on the ground in the middle of the grocery store can seem like a simple opportunity for discipline: punish them and they won’t do it again. Once they have kids, they’ll understand the futility, and why so many parents let their kids run around barefoot, even in the grocery store. The same holds true for hiring an interior designer to decorate your dream home. For example, if you’ve got young children who love to get behind the sofa or recliner, you can’t hide cords back there. Decorating that area of your home will be limited to cordless lighting, or the cords will need to be tacked along the baseboards, up the wall, or under the carpet. An interior designer without kids might think you should be able to control where your kids play. They won’t understand that no matter how well you discipline your kids, they will still get behind the sofa and chair. 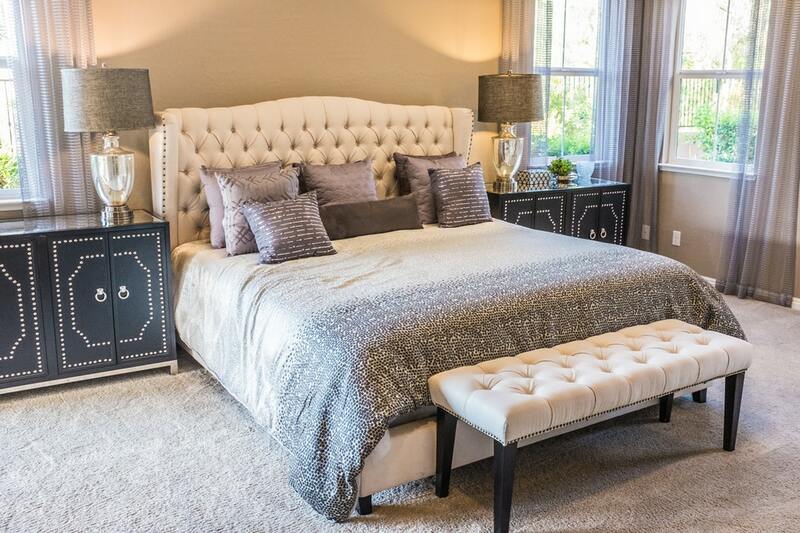 Searching for an interior designer to beautify your home and create an inviting environment is a process. It’s important to find an interior designer who gets your vision, your taste in décor, and understands your needs as a parent. People with kids understand that how things “should be” doesn’t apply. Kids shouldn’t run through the house, just like cats shouldn’t climb drapes, but both will happen regardless of established consequences. Children have the highest risk for home injury and accidents. Each year, more than 3.4 million kids are unintentionally injured in the home, and over 2,300 children under 15 die from their injuries. You shouldn’t need to convince a designer of this risk. Another parent will take your concerns for safety seriously. An interior decorator with kids won’t bat an eye at your request that all potential safety hazards need to be eliminated. They won’t call your parenting capabilities into question. They’ll just do their job. Parents understand each other on a level that often requires no words. When you bring your toddler to a friend’s house with a stained t-shirt, another parent wouldn’t bat an eye. Someone without kids might wonder why you didn’t dress them in clean clothes before coming over. If you ask an interior designer with children to avoid certain styles or do things a little differently because you have kids, they won’t have to ask for an explanation. They’ll just get it. An interior designer with children will come to you armed with unique experiences that arose from being a parent. You probably won’t need to remind them of the need to install childproof doorknobs, and they might already be thinking about ways to modify their designs to meet your needs. For example, if you want indoor plants, they might already have a solution to make them childproof by placing a section of burlap sack over the soil. You can still water the plant through the burlap, but your kids can’t dig around in the soil and get it all over the carpet and house. You’re going to spend a lot of time with your interior designer. Connecting with another parent can give you something in common to talk about. Everyone prefers to connect with people they can relate to. Parents tend to connect better with other parents, especially when they don’t share anything else in common. The right interior designer will understand your requests that center on child safety. They won’t tell you to do a better job parenting your kids to avoid altering their design ideas. They’ll listen to your ideas and concerns and find a way to make it work. What Items Do You Need to Complete the Look of Your Dining Room? In today’s fast-paced world, it’s getting harder and harder to get the family together in one place. You can’t treasure each moment with your loved ones if they are not physically there. That’s why you should make it a rule that everyone should be present in the dining room during supper time. The dining room is the one place your family can bond, share stories and have a good time with one another; hence, you should make the dining room look cozier and comfortable for the whole family to eat in. This way, they will feel relaxed sitting at the dining table and enjoy a good night with everyone. A dining table set. Buying a quality dining set will surely benefit you in the long run. You can choose to go rustic like the magnolia manor collection or go contemporary with modern and metallic table sets. Lighting. Lighting helps create a more intimate feel for your dining room. Be sure to buy warm lights with yellow hues. 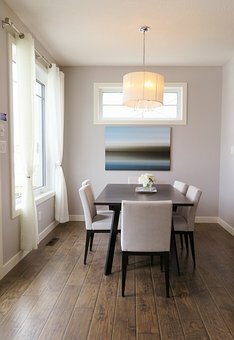 You can opt to choose chandeliers to add grandeur to the dining room or go for a more contemporary vibe by adding in unique and modern designed ornamental light fixtures. The dining room’s lighting fixtures will be highly dependent on your chosen dining room set. If you chose a rustic looking table set, a chandelier is the best match for your dining room. But if you pick a metallic or glass table set, you can go for more contemporary looking lighting fixtures. Vase. A vase is essential on a dining room table so that you can add fresh flowers in it each week. It will definitely cheer up the room and help create a warm atmosphere that will make everyone feel positively happy. Fruit bowl. Fruit bowls are not only functional, but they are also decorative and add an aesthetic appeal to your dining room. It is best to place one on the table. Paintings. Paintings add a personalized touch to the room. You can choose to feature anything as long as it suits your tastes. Paintings make the whole room cozier and more relaxed. The best artworks you’ll want to display are those that depict nature or landscapes like mountains or fields of flowers. These kinds of paintings evoke a homey feel that will add to the warm atmosphere of the dining room. Curtains. Curtains are the oldest trick in the book to make your dining room look inviting and warm. As you know, curtains can make any house look lived in. The brightly patterned fabric can improve the atmosphere of the whole place. So, it will definitely do wonders for your dining room as well. These are the ways you can achieve your dream home with a more homey vibe in your dining room. Getting these things will surely encourage your loved ones to sit and bond with each other, so be sure to remember these items when you are on your next shopping spree. It’s important to regularly see a dentist to have your teeth professionally cleaned, monitored, and have any problems properly diagnosed. Even when taking proper care of your teeth at home with brushing and flossing routines, a dental hygienist and dentist can perform several procedures and necessary checks to help prevent future problems, plus they can provide treatments for current issues like tooth decay and gum disease. Once you’ve reached adulthood the importance of having a good dentist like Dentistry on 7th is a priority, so ask your friends and family for a recommendation. It’s advised for adults to see their dentist twice a year. Individuals who are at a greater risk for tooth troubles might be advised to visit more often, as should those who need regular adjustments to orthodontics or multiple cosmetic treatments. 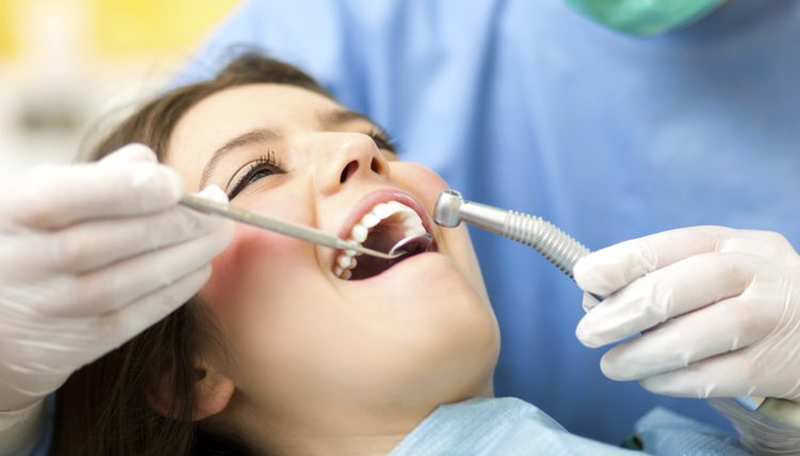 Dental visits might be covered by your insurance. If you’re without coverage, it’s a good idea to let your dental care professionals know this because they might be able to select lower cost options for certain treatments. You can claim dental expenses paid out of pocket on your taxes in Canada, as well. During your check-up appointment, a dental hygienist or the dentist will clean the teeth, survey your teeth, gums, and mouth for any warning signs or indicators of a condition like decay, gingivitis, or oral cancer, using bright directed lights, a small probing implement, and an angled mirror. Cleaning involves a scaler to gently scrape the surface of the teeth to remove tartar build up, which occurs when plaque is left to harden. A vibrating device might also be used for this. Teeth are polished with a lightly abrasive paste creating a smoother surface that plaque has trouble attaching to. They’ll also floss and may rinse the mouth with an antiseptic cleaner. Your dental professionals may recommend performing an x-ray to gather more information about possible decay, cavities, hairline cracks, or other problems that can’t be seen by the naked eye. A dental radiograph doesn’t emit enough radiation to be dangerous. You might occasionally need a fluoride treatment for extra protection. The dentist might also need to take a dental mould of your teeth to better examine your bite or to fit a dental implement like a mouth guard to prevent teeth grinding. They will also advise on the proper flossing and brushing techniques for you to practice at home, and will ask about medications you might be taking, because some side effects, like dry mouth, can cause dental problems. They may ask you about your diet, as snacks and sugary drinks, coffee, tea, wine, and other food and drinks are problematic when consumed regularly. The above list is not exhaustive and other procedures might be part of your regular exam. If you’re wondering what exactly your appointment will entail, ask the receptionist and/or dental care professionals prior to your appointment. Feeling anxious about a dental exam is normal, and it’s a good idea to let your hygienist and dentist know so they can better accommodate your needs to make you more comfortable. Allergies plague millions of people every season with stuffy noses, red eyes and more. Some may be so beaten down by these symptoms they look for every way to help ease their suffering. When trying to find relief from you allergies during the pollen season knowledge is power. The more you understand how and why these allergies occur the easier it is for you to avoid your triggers and lessen your symptoms. Let’s take a look at some facts about pollen, how to avoid it, and treat pollen allergies. Pollen is one of the most common triggers of seasonal allergies. Experts usually refer to pollen allergy as seasonal allergic rhinitis. Each allergy season, plants release tiny pollen grains to fertilize other plants of the same species. Most of the pollens that cause allergic reactions come from trees, weeds and grasses. These plants make small pollen grains that travel by the wind. In fact, grasses are the most common cause of allergy. Ragweed is a main cause of weed allergies. Other common sources of weed pollen include sagebrush, pigweed, lamb’s quarters and tumbleweed. Certain species of trees, including birch, cedar and oak, also produce highly allergenic pollen. Even mold spores in high concentrations can give rise to the same symptoms as pollen. We come into contact with pollen by breathing it in through the airways. It also becomes attached to the skin, hair and eyes. For most people this is unproblematic, however, in an allergic individual, the immune system is activated and an inflammatory response occurs in the nose and/or eyes. What Is a Pollen Count? A pollen count is how much pollen is in the air. Pollen count changes daily and even hourly so if you have seasonal fall allergies it is best to check your local weather stations for the pollen levels. It is possible the main types of pollen are also reported. There are also several apps and notifications you can set up to alert you on days where pollen may be high. Keeping track of your areas pollen count can help tremendously when you are trying to get control of your allergies. What Are the Symptoms of Pollen Allergy? Symptoms of pollen allergy include runny, blocked nose and sneezing. The eyes stream, itch, redden and become puffy. Sufferers increasingly breathe through the mouth and so the air going down into the lungs is not warmed up, humidified and cleansed of particles, for example pollen. This can trigger or make people with asthma suffer even worse. Many experience that they become tired and they struggle with reduced ability to concentrate or study. This leads to poorer performance in relation to school, studies, work and family or recreational activities. Symptoms can vary for each person and it’s best to keep a journal of your symptoms to find correlations with the pollen counts. How Can I Prevent an Allergic Reaction to Pollen? 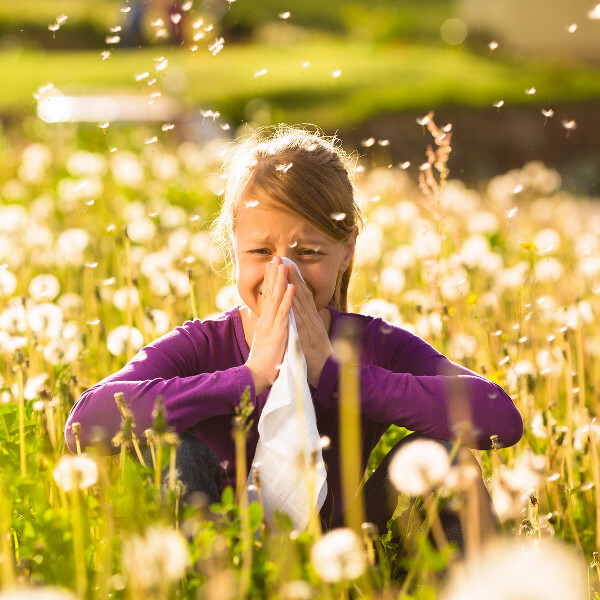 There are actions you can take to reduce allergic reactions to pollen. Most of these include just keeping your body and things that touch it clear of the pollen. Here are a few things you can do to reduce your exposure, and your reactions. Limit your outdoor activities when pollen counts are high. This will lessen the amount of pollen allergen you inhale and reduce your symptoms. If you do have to be outside during high pollen counts, you can also take some steps to stop the pollen from affecting you as harshly. You could wear sunglasses and a hat. This will help keep pollen out of your eyes and off your hair. Change and wash clothes worn during outdoor activities. You should also be sure to bathe and shampoo your hair daily before going to bed. This will remove pollen from your hair and skin and keep it off your bedding. Then be sure wash your bedding in hot, soapy water once a week. There are also preventative measures you should take when you know it is allergy season. Such as limiting close contact with pets that spend a lot of time outdoors. Then, keep windows closed during pollen season and use central air conditioning with an asthma & allergy filter. You can also begin taking allergy medicine before pollen season begins. Most allergy medicines actually work best when taken this way. This allows the medicine to prevent your body from releasing histamine and causing a bad allergy reaction. The primary goal in all allergy treatment is to try to avoid the thing that makes you flare up. Treatment may take the form of a nasal spray, eye drops, allergy tablets, inhaled medications or injections. Allergy medications are not a cure, but can reduce your discomfort. The aim of the treatment is to be as well as possible, using the least amount of medicines. It is important to understand that many allergy medicines are preventive. They must be used regularly every day throughout the pollen season, even where the symptoms disappear on individual days where the pollen count is low. Also keep in mind that your symptoms can be heightened by wother environmental effects such as tobacco smoke, exhaust fumes, dust, perfume and strong fragrances, wind, temperature fluctuations, infection, emotional and hormonal factors. Now that you understand what pollen allergies are and how they can be induced, it may be easier for you to deal with your allergies. This upcoming allergy symptom try and implement a few of the preventative measures and you will see a difference in your symptoms. You may even be able to relieve most of your suffering- making for a happier and healthier you! Nobody likes thinking about the possibility of a family tragedy. Unfortunately, all it takes is one bad car collision, one workplace accident, or one unexpected illness for your family to be changed forever. Though you may be brokenhearted to the point of physical exhaustion, it’s your duty to stay strong for your kids, your spouse, and the people who love you—and that means learning to cope with a horrifying situation. First, you have to accept that it’s okay to grieve. Even as a parent trying to stay consistent in her responsibilities, you need to find time to mourn your loss, and cope with the tragedy in your own way. If you don’t give yourself permission to confront or deal with these negative emotions, it could affect your life in far worse ways in the future. That said, there’s no single “right” or “normal” way to grieve. Though it’s common for people to cite the five stages of grief as denial, anger, bargaining, depression, and acceptance, the truth is most people don’t follow these stages in order, or even experience all stages. Your grief may manifest almost exclusively as anger and outrage, or you may sink into a prolonged depression. You may find yourself laughing as if nothing ever happened, or find yourself unable to focus on anything in the “normal” world. Along similar lines, your grieving process could last mere days, or be prolonged for months to a year or longer. It’s important to accept that your grieving process will be unique, and doesn’t have to conform to any other standards. You aren’t abnormal, you shouldn’t feel guilty, and you shouldn’t try to reshape your grieving process to fit what’s expected of you. Your family is undergoing this tragedy together. If you want to process it healthily and maximize your chances of a full recovery, you’ll need to facilitate and engage in open communication. It’s important to talk to your kids openly and honestly about what’s happened, and it’s important to express your own feelings on the situation. Tell people what you’re feeling, even if you’re embarrassed by it, or if it’s hard to talk about, and be willing to listen to what other people are saying. It’s difficult in the moment, but will take you one step closer to positive mental health. If possible, in the wake of a family tragedy, try to minimize your personal responsibilities and time commitments. Take a few days off work, cancel the normal meetings and gatherings you’d attend, and ask a trusted friend or family member (who’s less affected by the tragedy) to take care of some of the errands for you. While you may be tempted to immerse yourself in work or other distractions, it’s important to have time to confront what you’re feeling. Minimizing your other life responsibilities may give you the time you need to find personal solace. 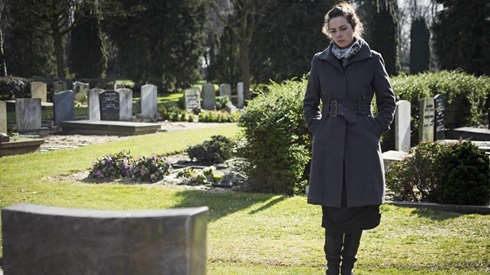 Though you may be tempted to get through the grieving process on your own (and you may be perfectly capable of it), almost all people can benefit from some level of grief counseling. That may mean speaking with a cognitive behavioral therapist on a regular basis, or simply attending a support group once or twice a week until you feel like you’re starting to make progress. There are lots of strategies you can use to make emotional progress and continue your daily life, but without the neutral, experienced perspective of a professional, you may be blind to some of the factors holding you back from getting better. You owe it to yourself and your family to progress as quickly and efficiently as possible. Some people are tempted to return to the normal routine as quickly as possible, while others may sulk indefinitely, staving off a return to normalcy for as long as possible. The best route for most people is something in between; it’s important to get back to work and start reincorporating your daily responsibilities gradually so you don’t lose momentum, but if you go back too quickly you can easily be overwhelmed (or fail to give yourself enough time to process your feelings). Coping with a tragedy isn’t easy, but it’s necessary if you want your family to be strong—and eventually move on. Go at your own pace, learn to understand your own grieving process, and keep taking baby steps toward a healthier life. As long as you preserve your forward momentum, you’ll eventually get there. If you aren’t careful, you could end up spending thousands of dollars on your holiday shopping this year. But it doesn’t have to be this way! If you come up with a plan, you can spend far less than you ever thought possible. It seems like holiday shopping becomes an even bigger production every year. From Black Friday and Cyber Monday to brand-specific sales and deals, it’s nearly impossible not to get sucked into the spirit. According to data gathered from a 2016 National Retail Federation study, the average American plans to spend $935.58 during the holiday season. Nearly one in five Americans spends more than $1,000, while roughly 50 percent spend at least $500. And despite these astronomical numbers, 37 percent of people have no savings plan or strategy for tracking how much they spend. As you can guess, this is a recipe for disaster. With the holiday shopping season quickly approaching, let’s take a look at some different strategies for saving money. One of the worst things you can do is wait until late November or early December to start your holiday shopping. Not only is it impractical for most people to spend this much money in such a short period of time, but it also prevents you from finding the best deals. Once the calendar turns to July, you should already be thinking about your holiday shopping. Make a list of people you’ll be buying gifts for and set a limit for each one. This gives you four or five months to save – as well as a chance to spread out your spending. When you shop in advance, you have the opportunity to wait for deals to come along. Keep an eye on coupon sites like Groupon and MyCoupons for good discounts. If you’re patient, you can find discounts on products you were already planning to purchase. Gift cards are always a great gift for that person on your list who is hard to please, but did you know that you could also save money by purchasing discounted gift cards and then using the balances to buy presents? A website like GiftCardGranny lets you purchase gift cards for stores like Old Navy, Gap, Best Buy, Walmart, and Target at a fraction of the standard cost. Do you have people with similar tastes on your list – such as lots of grandchildren? One of the best ways to save money is to buy items in bulk. Not only will you save the time it takes to find a gift for each person, but you’ll also get a per-unit discount. “Looking for a unique Christmas gift that won’t break the bank but is sure to get a smile? This year, skip the same-old, store bought stocking stuffers and spread some holiday cheer with a homemade gift your friends and family will love,” suggests Katie Strasberg of Southern Living. Homemade gifts could include baked goods, ornaments, crafts, jewelry, photo albums, candles, or anything else that you think the people on your list will like. There’s something very classic and nostalgic about shopping in physical stores during the holiday season. But if you’re going to shop retail, make sure you’re still comparing prices to get the best deal. As you browse inventory in a store, use an app to find the same items online. The Amazon app, for example, has a barcode scanner that you can use to quickly check the price on their website. Walmart Savings Catcher and Shop Savvy are also useful. There’s no rule that says you have to spend hundreds or thousands of dollars on gifts during the holiday season. In fact, smart, savvy individuals make it a point not to overspend. Hopefully this article has given you some strategies and motivation for spending less and saving more. Happy holidays!